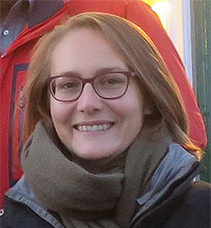 Helen joined GSGSSI in June 2018. Helen brings considerable experience from the public sector with a career at HM Revenue and Customs and latterly a role leading regeneration and change initiatives with a Council Authority in the UK. Helen will be spending some time meeting her Falkland Island stakeholders in readiness for visits to South South Georgia & the South Sandwich Islands and meetings in the UK. Reflecting upon her first fortnight in her post, Helen was impressed by the team’s determination to drive projects forward in a fast moving environment where making time can be difficult. Steve first visited South Georgia in 1999 whilst working for the British Antarctic Survey. 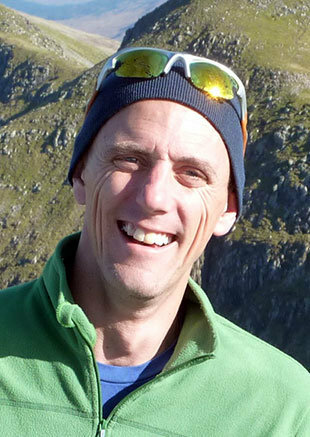 Whilst living and working in the South Atlantic he has had continued involvement in South Georgia works projects as well as infrastructure projects in Antarctica and on various South Atlantic British Overseas Territories. This most recently includes a new hospital project on Tristan da Cunha. Prior to this he spent two years as Director of Operations for the Ascension Island Government. Sue joined GSGSSI in November 2017 following a five month secondment. Prior to this she worked as a fisheries ecologist on the South Georgia Project at the British Antarctic Survey for eight years, which included overwintering at King Edward Point and spending considerable time on commercial fishing vessels as a scientific observer and conducting research surveys. Sue brings valuable practical experience and scientific understanding to this management post. Jennifer joined GSGSSI in March 2012, and has been working in sub-Antarctic and Antarctic terrestrial systems since 2006. She has a particular interest in invasive species management and biosecurity. Having previously worked in research, she is enjoying using her scientific background to inform management decisions. Ross first saw South Georgia in 2003 from the deck of a fishing vessel during his time as a scientific observer. It was love at first sight and he has been involved with the South Atlantic region ever since. Ross moved to the Falkland Islands with his wife and three children in 2012, and joined GSGSSI in January 2018 after working as Biosecurity Officer for the Falkland Islands Government. He is delighted to have the opportunity to combine his scientific knowledge and practical skills in this new role. 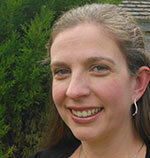 Jenni joined GSGSSI in January 2017. Jenni has lived in Stanley for a number of years and has a range of experience from previous roles, most recently in the tourism industry. 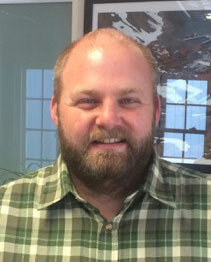 Steve joined GSGSSI in March 2015. He trained in Aquaculture and Fishery Management working in both Israel and the UK before a career change into Fishery Protection with the UK Environment Agency and latterly the Falklands Islands Government where he spent 15 years as a Fishery Protection Officer, spending considerable time patrolling and providing logistical assistance in the SGSSI maritime zone. Emma has a degree in Applied Marine Biology. Her first experience of the South Atlantic was working as a Fishery Observer for the Falkland Islands Government in 1997. Emma went on to become a Fishery Protection Officer and then a Government Officer for GSGSSI in 2005. Emma has also been involved with Antarctic tourism and has, most recently, been carrying out environmental protection and compliance duties in the UK with the Scottish Environment Protection Agency. Emma returns to South Georgia accompanied by her husband Steve, who also has considerable South Georgia experience. 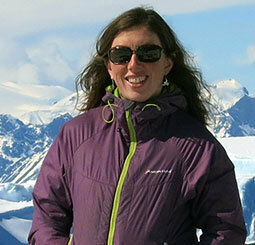 Paula has a wealth of experience from working in the Antarctic and Arctic over the past decade. She has previously spent fours years on South Georgia as Boating Officer and worked as a Communications Officer for the British Antarctic Survey. Paula has been involved in the marine industry in various roles since leaving school.